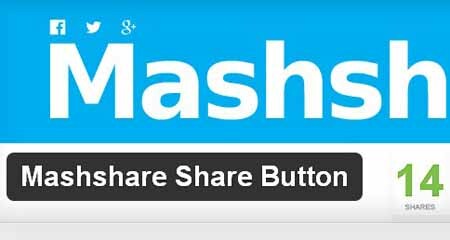 Mashshare sharing plugin is a high-performance share functionality inspired by the great website Mashable for Facebook and Twitter. I’m sure you all have seen Mashable’s social share button (FB,Twitter) that shows the total count of shares. – All counts will be collected in your database and loaded first from cache. No further database requests than. Install it via the admin dashboard and to ‘Plugins’, click ‘Add New’ and search the plugins for ‘Mashshare’. Install the plugin with ‘Install Now’. After installation goto the settings page Settings->Mashshare and make your changes there. Use [mashshare] anywhere in pages or post’s text to show the buttons and total count where you like to at a custom position. Buttons are shown exactly where you put the shortcode in.